Nothing official about this list- best guess effort. The woofer, mid, and tweeter columns each have a blank column following. The letter in those columns indicate similar drivers in different model speakers. Drivers with the same letter in the column are equivalent. ie, the tweeter in the Model Five and Model Twelve will interchange. KLH Model One, serial number 002. See this thread in AudioKarma. 2-way removable drivers and grille. Portable suitcase phonograph, Garrard AT-6 changer. 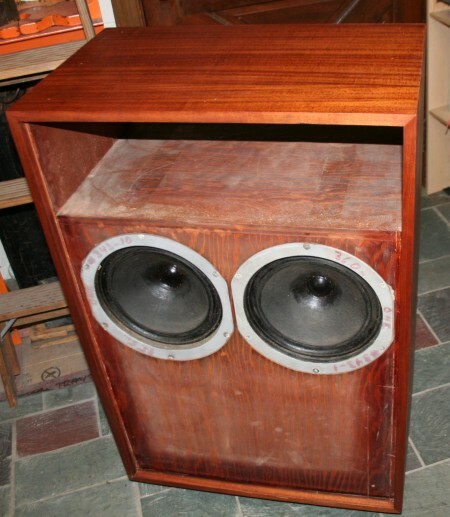 Same speaker as Model Twenty-Four and Twenty-Six.